We are really looking forward to heading out to the lake for some summer fun next week and it got me thinking about one of my favorite locations here in the city. White Rock Lake is such an oasis for the outdoor lifestyle I love, growing up in the Pacific Northwest I spent most of my free time out in the woods, fly fishing, skiing, waterskiing, camping you name it. Now that we live and work in Texas those things are not something I find right outside my front door but if you know where to go you can find them hidden in the city in places like White Rock which is only a 10 minute drive from our studio. These engagement photos were made a few weeks ago at sunset on the docks near the North end of the lake and I love the light as it raked across the water the the dock. If you’re looking for a spot that feels a bit more natural, away from the hustle of the city, this might be a the perfect place to have your engagement portraits made or just to spend some time this season. Happy Friday, we hope everyone is finding time to enjoy the summer! Stephanie and I could not have been more excited when we got the call from Bree and few months ago about her wedding at Pony Creek Ranch because it is hands down one of our venues we’ve ever had the opportunity to photograph. However, it was a days later when we had an opportunity to spend some time with her and Erik at our studio that we knew that it was really not the location but this sweet fun couple that was going to make their wedding awesome. 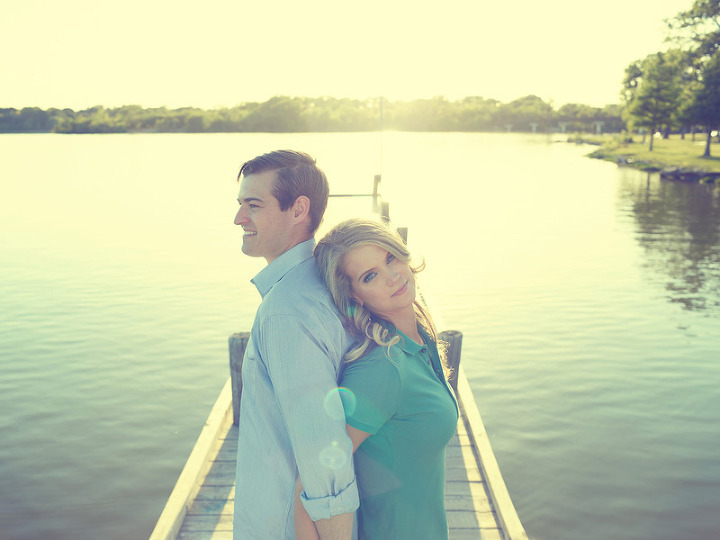 We are so looking forward going back to Pony Creek but we would honest be excited to photograph their wedding anywhere. Here are some engagement photos we made near downtown Dallas at the new Klyde Warren park as well as around the Arts District and the Winspear Opera House. My favorite has got to be the first image in this set, the very last one we took of the two of them lost amongst the crowd. It really brings out that feeling we all have when we’re really in love, all alone with one another even in a crowd. Know what I mean? 2. You have a place to change – We have an amazing bathroom in our studio (as in bigger than my first apartment kind of big) for you to change, check your make up etc. 4. The look of the images is fresh, clean and timeless. It could be ripped from a magazine printed this week or 50 years ago but it’s not that old school, high school senior, greek column stuff that might come to mind. Think Vogue Magazine, think modern fashion, killer black and white images and beautiful soft color photos. One of the great parts of being a wedding photographer is having the honor to work in some amazing locations, such as New York City (NYC); in the case of Laurie and Ryan’s wedding that location was at the beautiful Water’s Edge Restaurant, which overlooks the East River and downtown Manhattan. They tied the knot on a slightly rainy afternoon that gave a sense of drama to what was otherwise a sweet, relaxing evening with friends and family. Even the couple’s puppy Wookie made it down the aisle in a very smart collar and tie (see picture below). Probably my favorite moment of the day was just after the ceremony when Steph and I dashed out onto the dock with the couple for some skyline portraits despite the drizzle which continued to fall for most of the afternoon. I knew we couldn’t leave the wedding without some quintessential NYC skyline photos and I was so glad they were game to try. In the end the rain did let up after dark but it didn’t matter because we already had the bucket list images I was hoping for in the bag. The best part… was when she reached up and kissed him under the umbrella for maybe only the second time as a married woman.